Pezinok is not only known by wine and wineyards. It is also a mining town with a rich mining history. Gold, pyrite, antimony were mining here. The tradition of ore mining in Pezinok is old few thousand years, its roots can probably be dated back to prehistory. In the bronze age, they have mined just on the surface. Rich deposits of copper seams on the surface in Slovakia (Staré Hory, Pezinok) and in Transylvania were drawing the attention of different farmer and shepherd clans from west, south, and east during eneolith. Possibly the main buyer of the bronze was a settlement in Budmerice which represents one of the most important fortified settlements in the center Europe during the bronze age. In the settlement, they found a big amount of archeological evidence pointing at metalwork from the bronze age. Formerly independent towns Grinava (in the past Myslenice) and Cajla belongs in the present to Pezinok. Based on this furthermore, we will speak just about mining in Pezinok or city of Pezinok. Staré Mesto (Altstadt), after 1948 called Údolie slnka. Old mining works are spread here in length of few hundred meters and up to 500m above the sea level. The beginning of the mining business and washing is dated to the beginning of the 14th century and are related to the German colonization of the little Carpathian region after the Tartar invasion in the 13th century but probably are much older. The already existing gold mines in pezinok region were given to lineage of pezinok counts in 1339. King Karol Róbert I. (1301-1342) allowed to pezinok’s counts Šebuš and Peter mine, wash and process precious metals on every property they have owned. In that time the mines were already at work because the king gave them the exact conditions as before to magister Móric. He asked for annual „urbura“ (tax from mining). 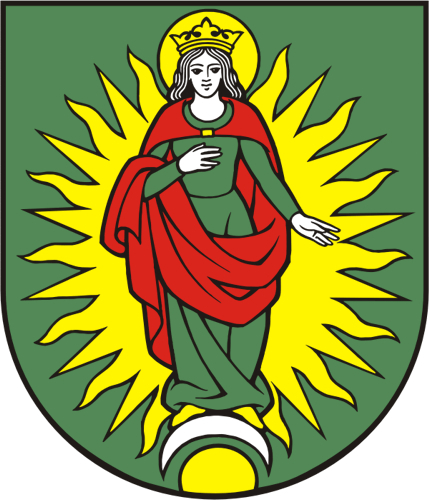 Mining privileges for the counts in Pezinok were renewed on the 1th of June 1365 by king Ľudovít I. 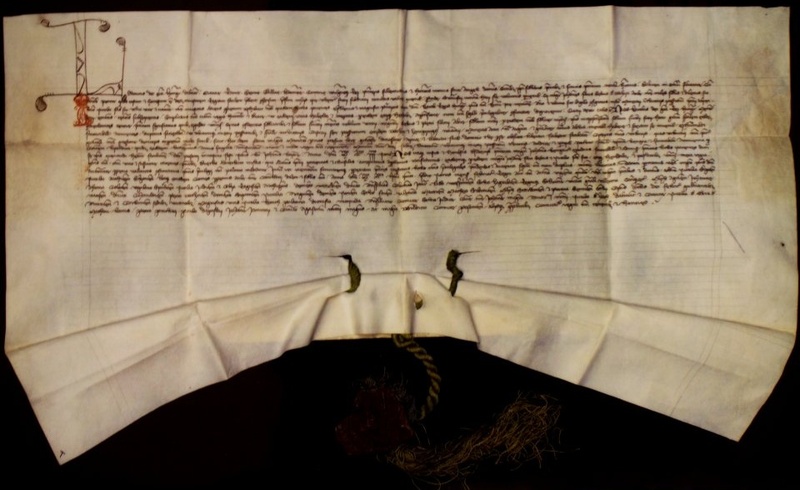 The same king in an attempt to widen the gold mining in pezinok´s mountains (over Sumberg) left in the summer of 1369 the urbura to count Ján so he could donate it and expand the numbers of Sumberg´s citizens. Here it becomes clear that Sumberg was mainly mining colony. In 1543 lineage of one influential family from Svätý Jur and Pezinok died out without male descendants. The last count from this family was Krištof II. (1520-1543), who was responsible for the Austrian duke Maximilián´s wine. After this lineage died out mentions about mining in Pezinok appeared just in the second half of the 18th century. Maximilian the second´s mining regulation from 1573 in chapter XXXIX, §15 names every Ugrian mine, but Pezinok as a mining city is not between them at that time. In the 16th century most of the mining cities had manufacturing troubles. The biggest problem was with the mining water. Pezinok started to be more involved in craft production mostly by making cloth (similar development occurred in other central Slovak mining cities). At the beginning, the gold mining in Pezinok was very successful. J.M. Korabinsky remembered these times: „ a few years ago they opened a mine with gold in the neighborhood. There is antimony here too. Until today it made 30 000fl profit. The gold is with its fineness as valued as Arabian gold. Mister Enzler in his time built a walkway through the hill so he could more comfortable get to the valuables. 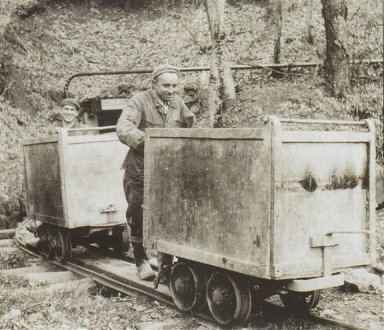 In the same time, he created a pond to keep the machines in the factory in good shape and running.“ Gold-bearing deposits in Little Carpathians started to attract miner businessmen. The court in Vienna supported this and created independent miner-court administration in Pezinok on 19th December 1777, which changed in 1778 for regular miner law court for the region of the west Slovakia til 1856. Mining in Pezinok started declining. Jozef Németh, the imperial court advisor, took advantage of this situation. He had in his hands 2/3 off all the mining shares and became with that the main miner businessman (Hauptgewerke) and the director of the „Mariana, Terézia a Jozef adits“ (further just MTJ). In 1820 asked for new mines „sv. Michal and Marianna adit“ founded in 1800. During 18 months they mined out 20, 75kg of gold which was with its quality comparable to the Arabian. In the 18th century beside the gold, they were mining antimony as well, but its mining stopped during the first world war. The mines were open again on 29th of March in 1939 by the order of the Directorate of the antimony factories in Banská Bystrica. After the antimony ore mining subdued in the 90s in Pezinok, Rudné Bane š.p., in Banská Bystrica started carrying out liquidation and security jobs on the mining works. In 1999 DP Pezinok was assigned by contract to Metal – Eco Servis, s.r.o. Pezinok company which even in 2006 was carrying out the liquidation of the quarry by the accumulation of filling material. During the monitored period, there was 29 895 tons of inert filling material placed into the quarry.